KL Hughes has done a beautiful job with this book. The describing of the feelings of Alex and Charlee made me feel the lost of the love of your life, the sadness, too. After 5 years of hurting and lying to themselves about moving on, they met again at Charlees exhibition. A shock for both, because Alex is there with her new girlfriend. This meeting leads them to overthink their feelings for each other and for their present partners. They’ll have to go on a knowing themselves better journey with alot of confessions. The influence and help of Alex’s sister Vinnie, their mutual friend Cam and Charlee’s mother Gabby is beautiful and right to the point. You really want someone like that in your life. Charlee Parker is a painter dedicated to paint naked women, one particular woman. Her fisrt love, her lost love. The love of her life. 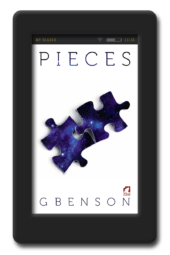 Alex Woodson has to leave home a few years ago to follow her dream and, with that, she also leaves her true love. The love of her life. They go separate ways and have different partners when they meet again five years later. From the very first moment they lock eyes on each other they realize their love is still there but it’s way complicated. Two people who fall apart even though they are madly and totally in love. We know of their chemistry and their life together thank to wonderful and romantic flashbacks which are connected to the current situations. The author does it using different verb tenses so you won’t get lost in the middle. K L Hughes did it again. She wrote a wonderful love story. This is love at first sight and yes, these things happen. Richly drawn characters, not only the main ones but the others. They may be as important in the whole story and in the protagonists’ lives. I would recommend this book anytime. It is sweet, intimate, funny sometimes, sad some others but definitely, definitely, it fills completely, fully your heart. I received an ARC from the author for a honest review. I read this author first book and I loved it. Unfortunately I can’t say the same for this one. It was a disappointment. I could not connect with the characters, neither of them. Overly dramatic without reason. Charlee spends a great amount of time crying, and Alex spends a great amount of time in emotional crise over nothing. The drama is forced and the reasons behind it don’t make any sense. It’s boring and I had trouble in finishing the book. Whoa! I am seriously exhausted. This book in a single word has to be EMOTIONAL. The feelings this book extracts are so real. You feel everything. It felt like my heart was being ripped from my chest. Also, because of that I am seriously having trouble writing this review. How Hughes managed to write it I don’t know. But she did and she managed to blow me off my feet. To help you understand I found that one minute I’m happy, cheerful even. Then the next sad and angry even. Then I feel this need to curl into a tight ball and hide under my duvet never to show my face again. But then I feel this urge to hurl my kindle out of the nearest unopened window. Now anyone who can generate that much emotion through words on a page deserves to receive a 5 star rating. Maybe this book should have some kind of warning. I say that with a pinch of salt. It doesn’t just feels like it. I really wanted to put the book down but I couldn’t.It was always just one more page. Now that I have finished it I just want a week of uninterrupted sleep. I feel exhausted. If Hughes wanted her readers to feel then I’d say she succeeded. It is really well written. It is some of the best writing that I have had the pleasure of reading. Enjoy! 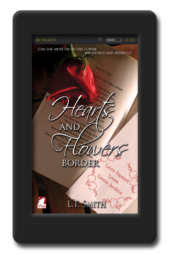 Emotional, dramatic, broken relationships, need, struggle, funny, intense, romantic, intimate, artist versus administrator are all ways of discribing what KL Hughes brings to the reader in this story of lost love found. I found the flashbacks a little distracting initially however, the story became increasingly more interesting because of them. The present day lives of both characters were clearer and stronger and I was more aware of how Charlee and Alex became who they are today and what they had overcome and gone through over the years both together and as seperate people. The story knits together well as past and present catch up. 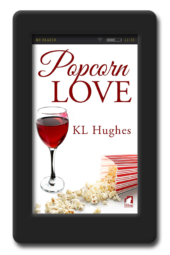 KL Hughes has written an emotionally charged story that captures you till the end. I loved all the characters that helped Charlee and Alex along the way. Seriously you will not regret buying this book ! The author has that unique ability that so few do to magically draw you into the story leaving you feeling like your there present until the end & not just peeking in. This beautiful story will have you laughing, crying, & praying with each of the characters in their own right. I’ve read this book twice now in short succession its definitely going in the keep pile. The end leaves the possibility of another book we can only hope. Falling out of love or breaking up with someone is easy. Ending a relationship while both parties are still madly in love which each others on the other hand, that’s the recipe for disasters. How to review a story you have read both before and after it was turned into a book. KL Hughes’s work is different from what I usually read. Not that many writers can write shattering heartbreaks and still give enough of the characters that no matter what has happened between them, you can still support each of their decisions individually, without having to find a good or a bad guy. This book is the best proof of it. 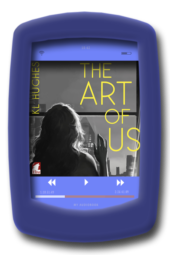 ‘’ The Art of us ‘’ is the imperfect love story of two soul mates with shattered hearts, meeting again a few years after everything stopped working between them. What happens when Alexandra’s job lead her back to Boston and a ghost from her past comes and knock the wind out of her. Should they try to mend what has been broken or leave it all in the past? This is the story about unstoppable force meeting unmovable objects; and it is an amazingly well written journey.